Over the decades, hip-hop artists and rap-loving entrepreneurs endured a long hazing period in the rough-and-tumble music industry, learning their business lessons the hard way until they learned to drive a harder bargain. One of the little-known oddities from those early naive years was the saga of Rhythm Method Enterprises. The company was initially formed as a four-way partnership between Public Enemy producer Hank Shocklee, P.E. frontman Chuck D, lawyer Ron Skoler, and Skoler’s mentor, an older music businessman named Ed Chalpin. Shocklee and Chuck D. intended for Rhythm Method to be the foundation of their production and management empire, and for Skoler and Chalpin to provide legal support and business expertise. Rhythm Method signed a number of clients, including Kings of Pressure and True Mathematics, and most notably Kool DJ Red Alert’s Native Tongues acts the Jungle Brothers and A Tribe Called Quest. But the Rhythm Method situation turned out to be a nightmare for nearly everyone involved. 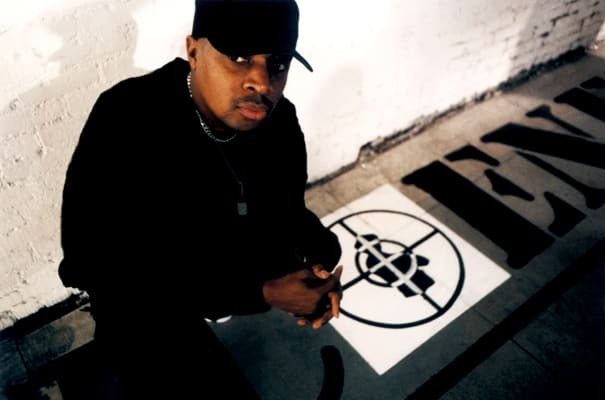 Chuck D. signed away an unheard-of 75 percent of Public Enemy’s royalties to Rhythm Method, entitling Skoler and Chalpin to a huge chunk of Public Enemy’s already-slender royalties from Def Jam. When Shocklee and Chuck D. tried to renegotiate the splits with their partners, Skoler agreed, but Chalpin wouldn’t budge. Public Enemy retained counsel and entered litigation that would last for years. Public Enemy’s lawyers called the Rhythm Method deal “one of the worst music business swindles of all time,” casting Skoler and Chalpin as master manipulators of neophyte artists. In truth, it was Shocklee who insisted on the lopsided split. As the legal battle dragged on, Skoler bailed out, selling his shares to Chalpin, who made his controversial reputation in the ’60s making cheap sound-a-like records to siphon sales from contemporary hit records, and for reportedly signing Jimi Hendrix for a $1 advance against a one percent royalty. Chalpin could be a formidable foe in a legal conflict, and guarded his rights zealously. As a result, Ed Chalpin—a guy with almost no creative or cultural currency in the hip-hop world—eventually ended up with an ongoing “override” (a perpetual percentage of the royalties) on Public Enemy’s future releases, and also A Tribe Called Quest. Chalpin also secured a huge chunk of the Jungle Brothers million-dollar-plus signing to Warner Bros.